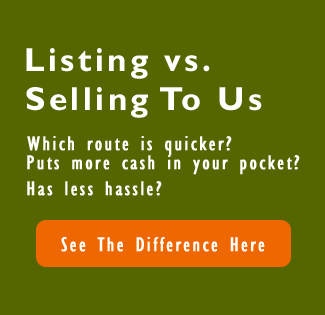 Sell My DFW House Need To Sell Your House Fast? We Buy Houses! Do you want to sell a Fort Worth property? Before you hire an agent or sign a listing agreement, take some time to learn about what a direct sale can mean for your situation. For many sellers in the Fort Worth area, it can be a more beneficial and lucrative choice! Keep reading to learn how you can avoid agent commissions when selling your Texas house! If you are thinking about selling your Fort Worth house, you must be prepared for the high commissions you will face if you choose to work with an agent. Commissions can eat away at over 6% of your final sale price… this equates to thousands of dollars. In our latest post, we will help you learn how you can avoid agent commissions when selling your Fort Worth area house! Many people think selling their house to a direct buyer equates to selling their home to pennies on the dollar, however, this simply isn’t the case. Yes, our offers are less then what you might see on the MLS, however, the amount of time and money you will save will often negate the difference. To get started on your offer, we only need to know some basic property information. We will run a CMA, or comparative market analysis, to determine the value of your home. We will make an appointment to view the house at a time that is the most convenient for you. After factoring in any repairs that might be needed, we will make you a fair and honest offer for your Fort Worth house. It is completely up to you what happens next. You can either choose to sell to us or pursue a sale using different methods. Either way, you will gain valuable insight into the true value of your Fort Worth home! Not only will a direct sale save you a considerable about of time, but it will also save you a good amount of cash! You will not need to make repairs to the house nor upgrades to keep it competitive with others currently on the market. If you list, you will likely want to make some repairs upfront before listing, then you will also have to deal with any negotiated repairs after the home inspection. You will not need to do any cleaning, simply take what you wish to keep and we will handle the rest. We believe you shouldn’t have to pay in order to sell your house. We take care of all the details so you can keep more cash in your pocket. Listing a Fort Worth house comes with zero guarantees. This can be frustrating for a family ready to move or for people trying to attain a certain amount for their home. You will need to be patient while you wait around for a buyer who may never show up. You might have to sell for less than you had planned on and you will be losing money each month by paying for things such as utilities, property tax, and homeowners insurance. When you choose a direct sale, none of those factors come into play. You will be able to sell quickly, for a great price, knowing exactly when the closing date will occur. Keep in mind that not all direct buyers are the same. Before you agree to a sale, make sure there are no hidden costs or additional hoops to jump through. My sister had passed away, and had left her house in Texas to me. I live in Indiana and had to make several trips to Texas to deal with the house. When I met Jason, he took care of everything for me. He arranged an estate sale, kept up with the property maintenance, and even sold things like the appliances and TV’s on Craigslist for me, then sent me a check. I couldn’t be happier, and I’m so glad that I chose to work with Jason & NextEra Homebuyers. We chose to use Jason & NextEra Homebuyers when we decided to sell our house. We received several other offers, but felt that Jason would get the job done and take the best care of us. We’re still happy that we did. Sell My House Fast In Fort Worth – What Are My Options?